** - This is the southernmost signed point on US 65. 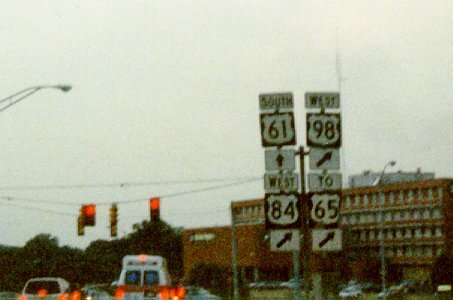 There are conflicting sources as to whether this is the actual terminus, or whether US 65 has a hidden duplex with US 61 south from here to the MS/AL state line south of Woodville. 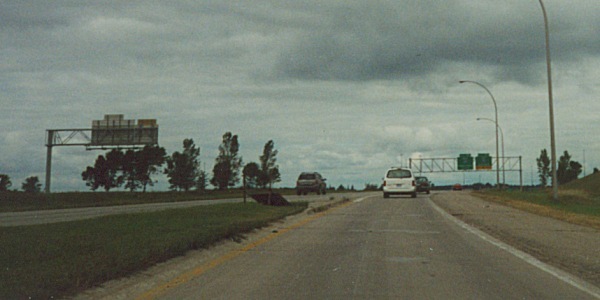 As mentioned above, this is the southernmost signed point on US 65 (the "TO" banner should actually be a "NORTH" banner). According to MDOT, though, US 65 continues south hidden along US 61. Photo by Adam Froehlig, taken in 1999. 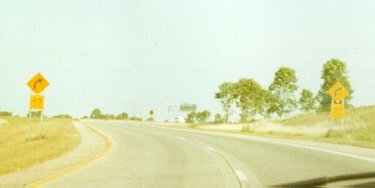 Guide signage on southbound I-35 at what is now US 65's northern terminus. Photo by Adam Froehlig, taken December, 1998. 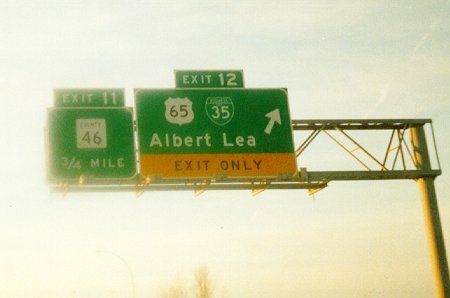 These two photos show the northbound merge onto I-35 Top photo by Adam Froehlig, taken December 1998. Bottom photo by Monte Castleman. 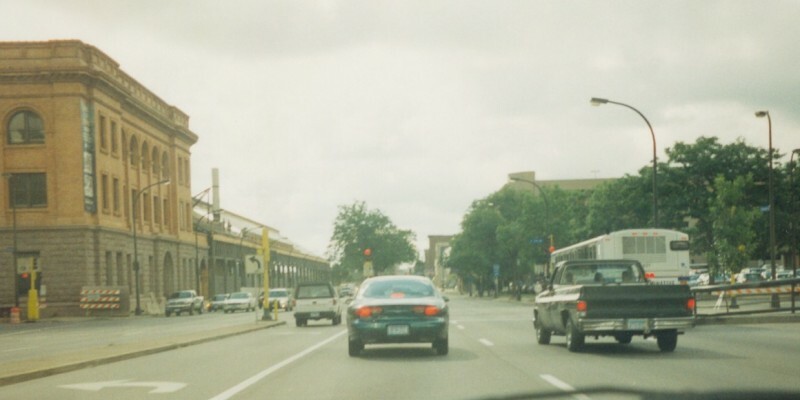 From 1935 until about 1980, US 65 terminated here, at the intersection of 3rd Ave and Washington Ave in downtown Minneapolis. This photo is looking east on Washington. At the time, US 12/52 ran along Washington, and US 65 ran on the other side of 3rd Ave and also ended here. US 8 also ended here from 1931 until 1978. Today, only MN 65 goes through this intersection. Photo by Adam Froehlig.